Now for my cards. 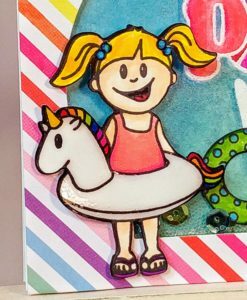 To start, I stamped my girls, floaties, and beach balls on white stock, then fussy cut them with my Scan ‘N Cut. I added Glossy Accents and Wink of Stella to glitz them up and set them aside to dry. I decided I’d use them to decorate pool shaped shaker cards. 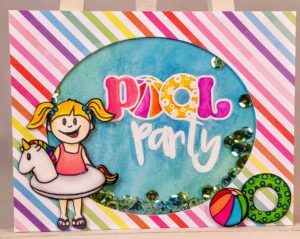 I embossed “pool party” in white on quarter sheets of watercolor paper. Then I painted the water with a combination of blue, teal, and green Twinkling H2Os and colored in “pool” with real brush markers. I die cut the windows from rainbow striped cardstock and backed them with acetate and foam tape. I added my shaker bits and closed up the card front, then adhered the shaker to a white card base. 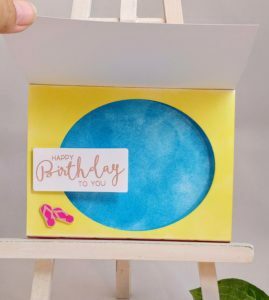 Foam tape pops my fussy cut images up on top of the card. I couldn’t decide if I wanted the beach ball and floatie inside the pool, or not, so I made a card each way. Which one do you like best? 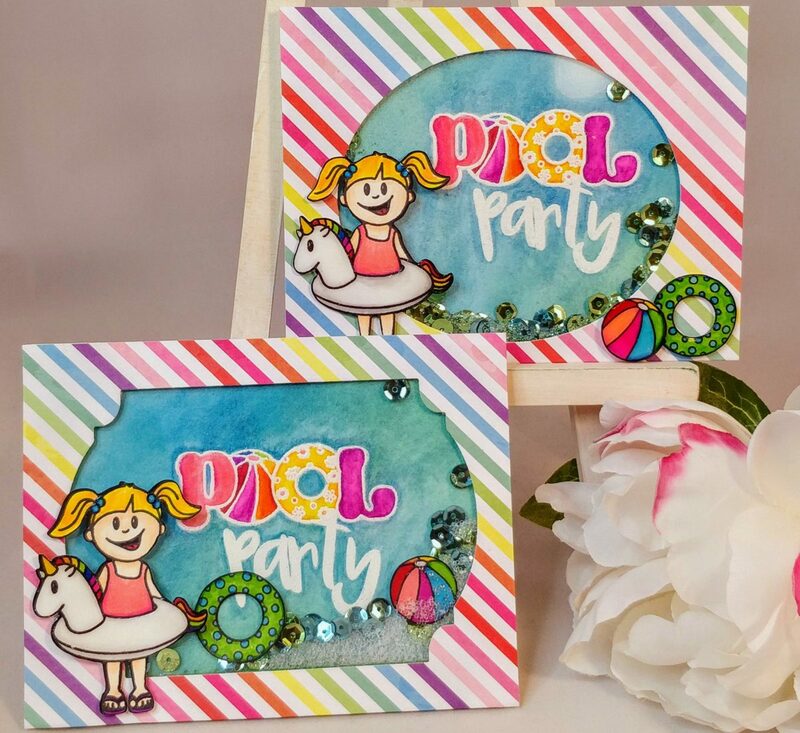 Thanks for joining us for another Get Kids Crafty blog hop! 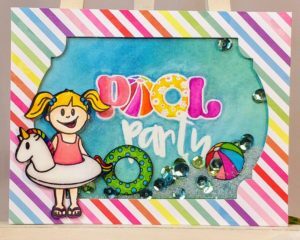 This month’s theme is perfect for summer – swimming! 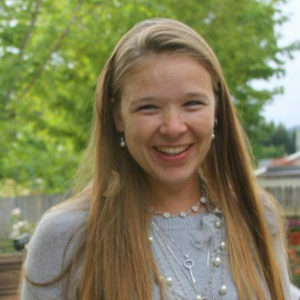 The team has some awesome projects to share, so be sure to click through all of the links on the hop! 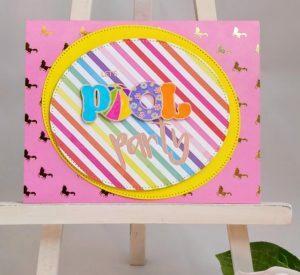 You’ll also get to see more sneak peeks of the Pool Party stamp set from Beth Duff Designs, a Get Kids Crafty! exclusive set. How exciting! 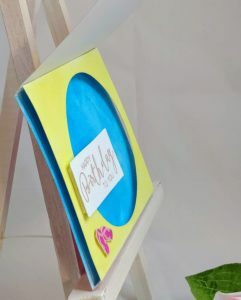 We can’t wait to show you what we’ve made and we would love to see what you make with your kids as well! You can share your projects in our Facebook group or on Instagram with the hashtag #getkidscrafty! Thanks again for stopping by! Love these! All of them are so awesome!